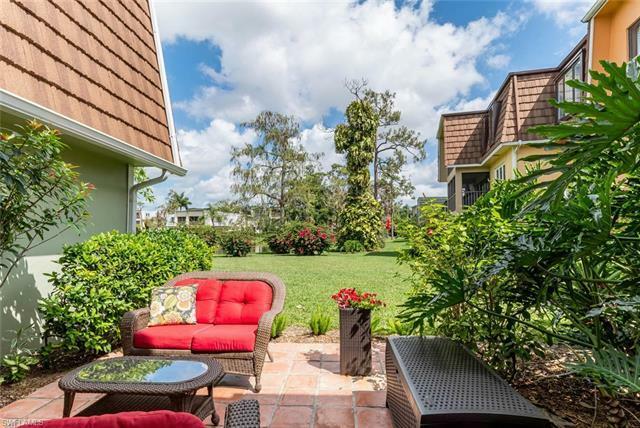 Enjoy morning coffee on your lushly landscaped, private patio overlooking the lake. This FURNISHED condo is tiled throughout, and features Updated Bathrooms and TWO MASTER SUITES. Discover this friendly neighborhood where you can hop on your bike and pedal through shady streets leading to the community center with affordable optional membership at the club (Monthly or Annual) offering fitness, swimming and a spectacular tennis program. If you're dreaming of an easy lifestyle with restaurants, grocery, and shopping just outside your gate, you'll appreciate this amazing central location that puts you in the heart of Naples. Up to two pets (no weight limit) allowed.